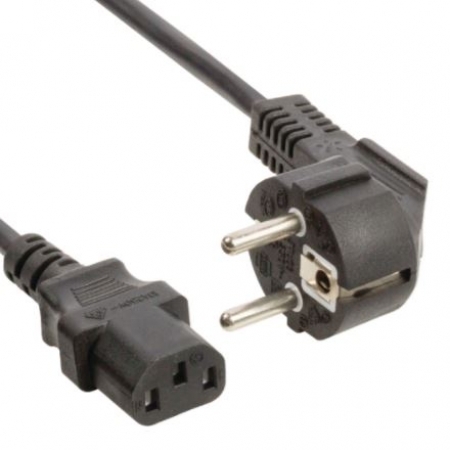 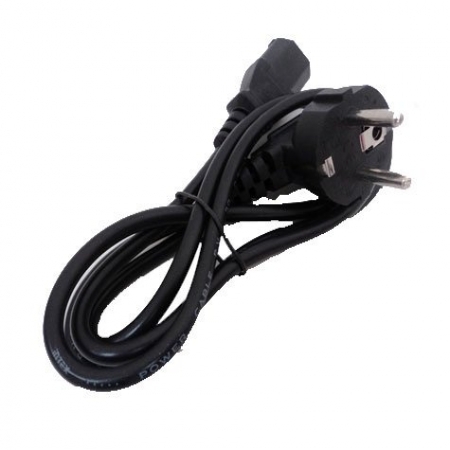 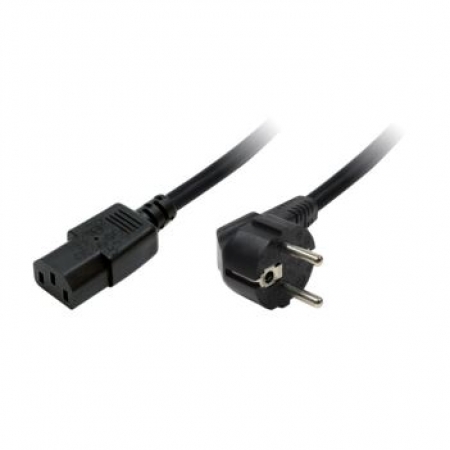 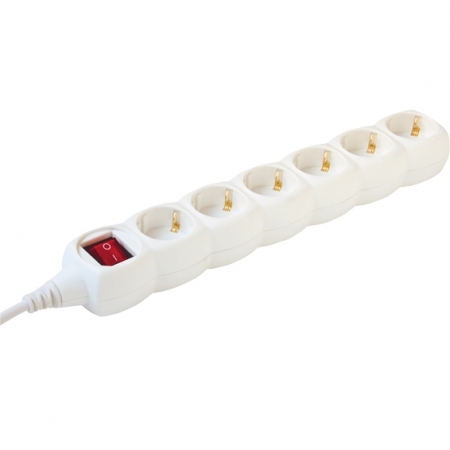 Electrical power cord, euro-8 standardized for 220 volt power grids. 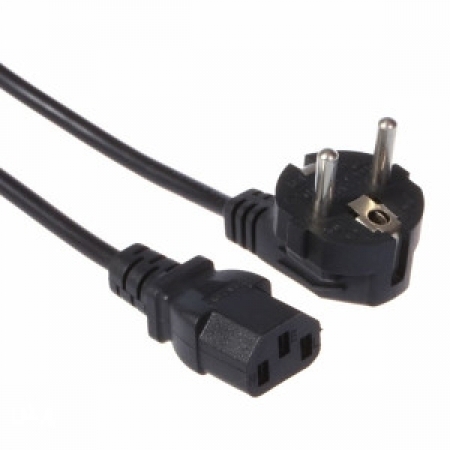 The cable is VDE tested up to 250V and 2.5A. 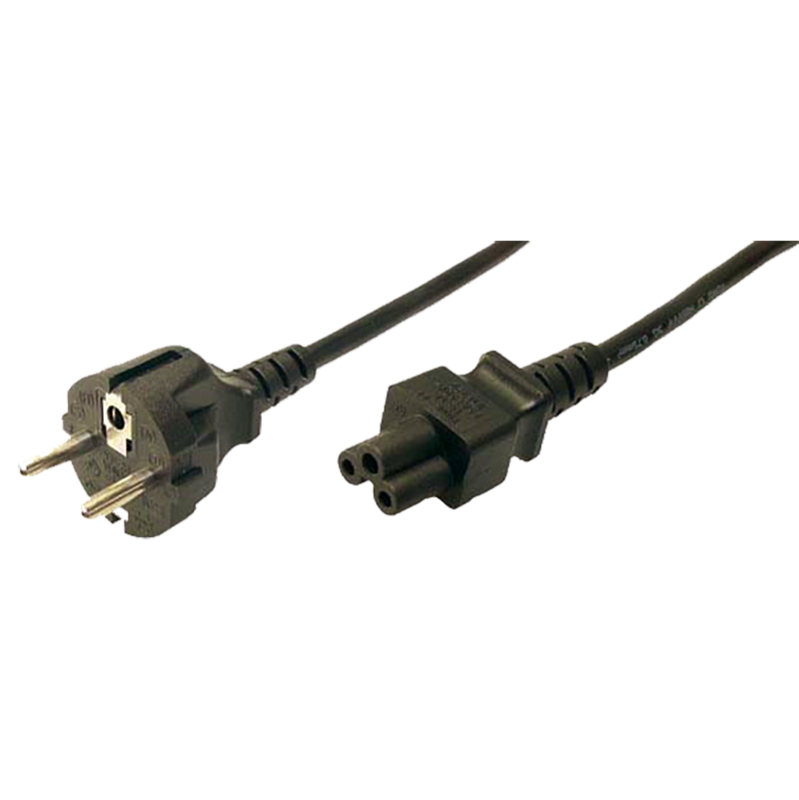 Power supply cable for PC, Diameter: 3x 0.75 mm², Operating voltage: 250V, Max current capacity: 10A, Length: 1.80m, Color: Black. 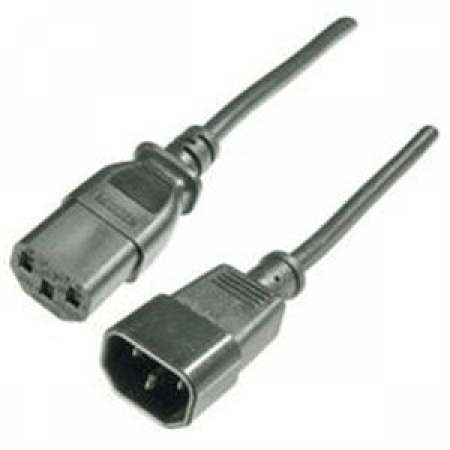 Power cable to connect the PC to a 220 volt AC power network. 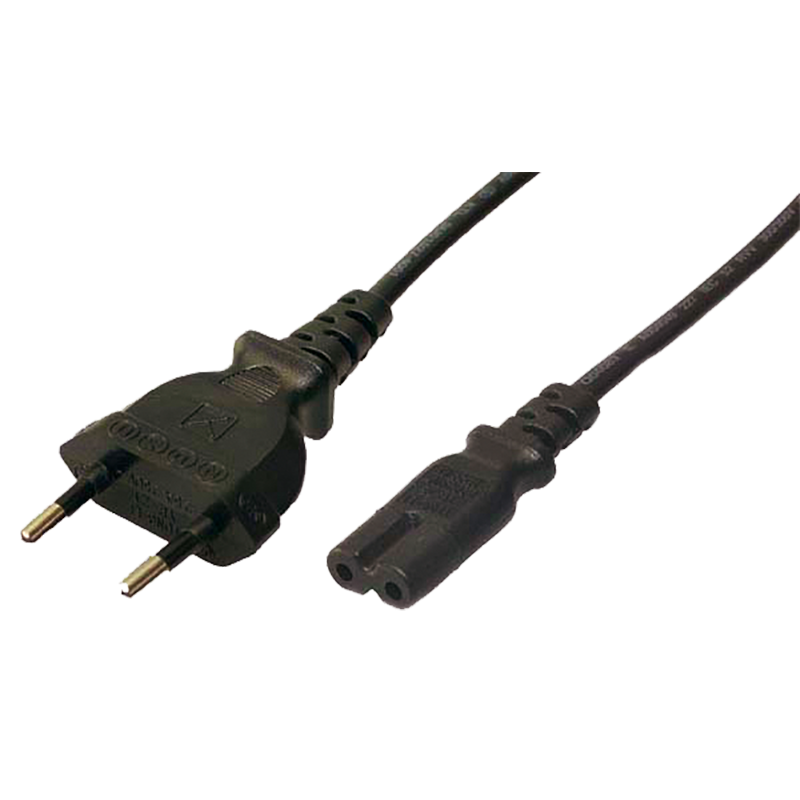 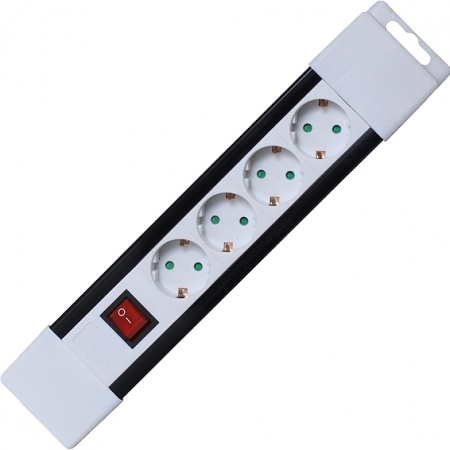 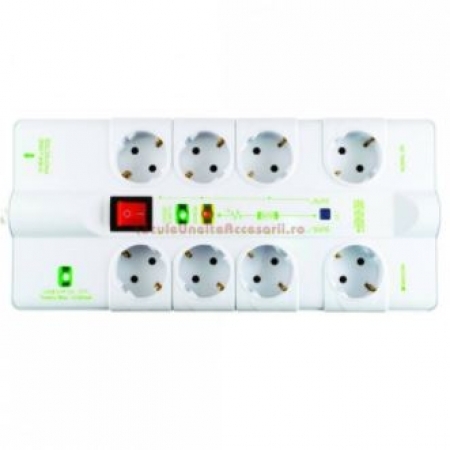 The cable has a double protective contact and is VDE tested up to 250V and 16A.